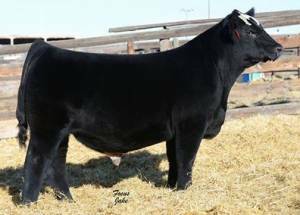 Cash Flow is an exciting 3/4 blood that was in Grass Lunnings 2016 National Western Pen. He's got a high octane pedigree, sired by Pays to Believe out of HS Looking Sweet, a BC Lookout x Glitter! Cash Flow will generate you $$!